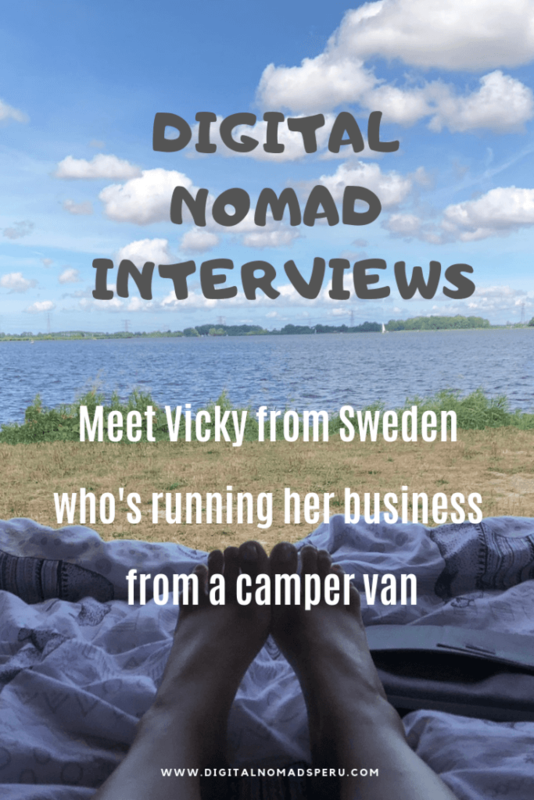 Digital Nomads Interviews is a series on the blog which was started to show how and why people of different personal, professional and cultural backgrounds decided to live a traveling life while working online. After meeting Dayanne from Brazil and Patricia from the US, we’re now moving to Europe. 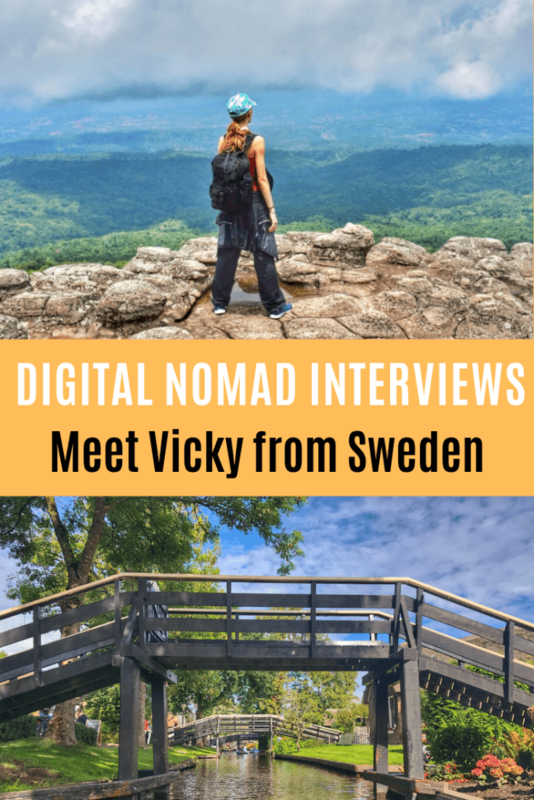 I’m happy to feature Vicky from Sweden this week. She has come a long way from a rather difficult childhood to moving to Japan and suffering from burnout to founding her own small company and leading a team today. Please tell us a bit about yourself and your personal background. I’m originally born in Sweden, to a Finish mother and a British father. I grew up in what we would call the Swedish “ghetto” with a single mother. We could never afford to travel and yet I remember wanting to leave the country as long as I can remember. When I was 19, I moved to Spain as an au pair. It was a difficult decision to return to Sweden, and I only did long enough to get a university degree. I worked 55 hour weeks and studied full-time for three years. I had my one-way ticket ready for the day of my final presentation. I traveled Asia for 6 months and moved to Japan. It took me three years before I went back to Sweden to visit. I needed the time to shake off the feeling of never wanting to return. Growing up the way I did, turned me into the person I am today. A hard-working individual with though skin and a no-quitting attitude but it also did leave a lot of negative feelings for everything I went through while growing up. I don’t think I would have succeeded with the things I have done without that background. Proving people wrong and doing “the impossible” has been my motivation in life. What was your most interesting/exciting experience ever since you started traveling? I’m not sure I could ever just name one thing. 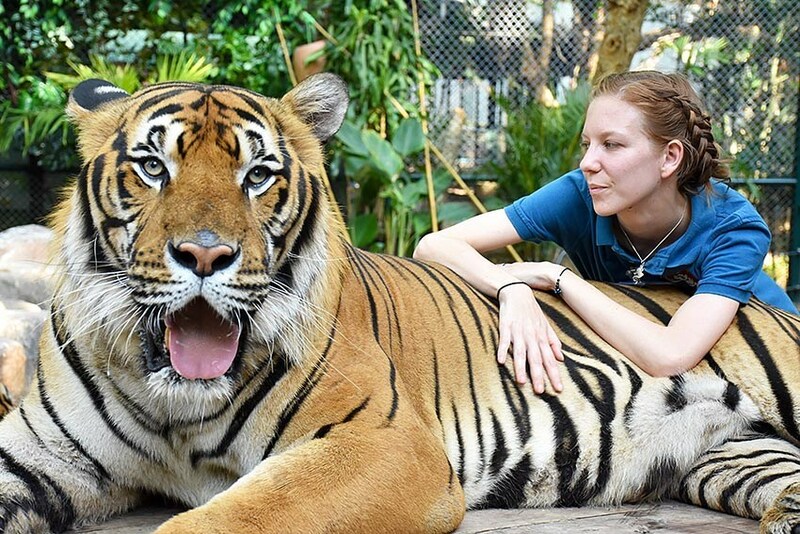 Volunteering with tigers in Thailand was an unforgettable experience, but so was diving with sharks in Okinawa, doing a camel trek in the Sahara desert and buying my first home at the foot of Mt. Fuji. Don’t even get me started on the adventures and near-death experiences I have gone through as we’ve traveled by campervan through Europe. 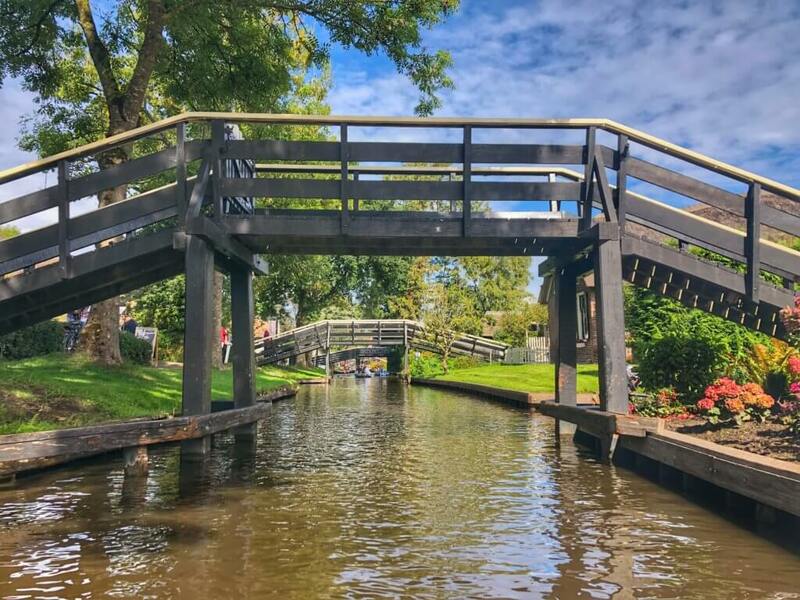 The autumn colours of the French alps, the windmills in Holland and a silent island in Denmark are just a few remarkable and incredible memories I have. Why and when did you start your location-independent business? 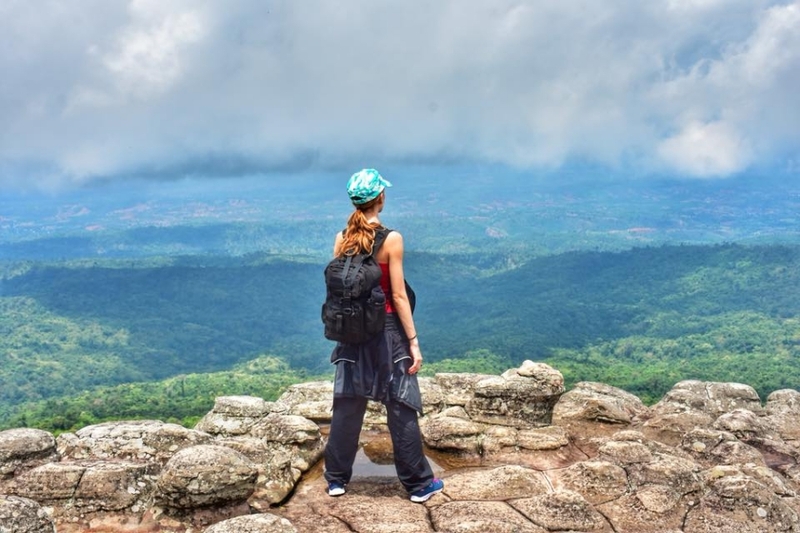 Becoming a “digital nomad” was never one of my goals. A career was never of any importance to me. Growing up, all I cared about was a job that I enjoyed and that would allow me to do and be where I wanted to. That’s how I ended up as an English teacher in Japan. But, my iron will and multi-tasking personality led me to a burn-out almost two years ago. It was a combination of a full-time job, another part-time job, house renovations and family drama that finally ended up being too much. I never believed in burn-outs, I thought it was made up until it made me re-prioritise my life and today I run my own business. It took me almost a year to “get back to normal”, though I’m not sure there is a going back to normal after a burn-out. But, it led me on a new path in life and during the one and almost half year I’ve been running Taylor Literary Creations, I’ve gone from being a lonely freelancer to having a team of five people! We deal with Swedish-English translations, content writing as well as bilingual VA-services. Our niche is individuals and smaller businesses, so our rates are affordable but without sacrificing the quality of a professional translation. Taylor Literary Creations was first started due to my love for writing and languages as a way of finding what I enjoyed in my recovery. It has since become my full-time, location independent job, and I love it! I started traveling alone at the age of 19, and I kept traveling alone for five years. Just before Christmas 2014, on a private beach in Borneo, I met my current partner. 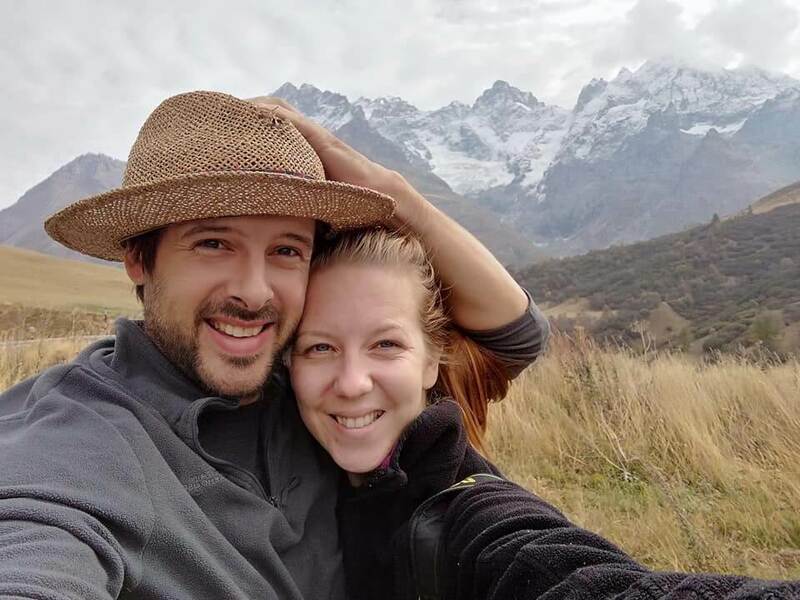 We were both there volunteering with marine conservation and though it took us a while to finally become a twosome, we are now traveling the world together. I used to love traveling alone. As an introvert, I was never much for dating. But, it could get lonely. Sometimes, you would experience or feel something so incredible, you’d just want to turn around and tell someone. When there isn’t anyone there, it leaves you with a feeling of loneliness. But, as a somewhat selfish person when it comes to decision-making, I do occasionally miss getting to make all the decisions. I hate compromises, so the most difficult thing about traveling with my boyfriend is that we have to agree on things. 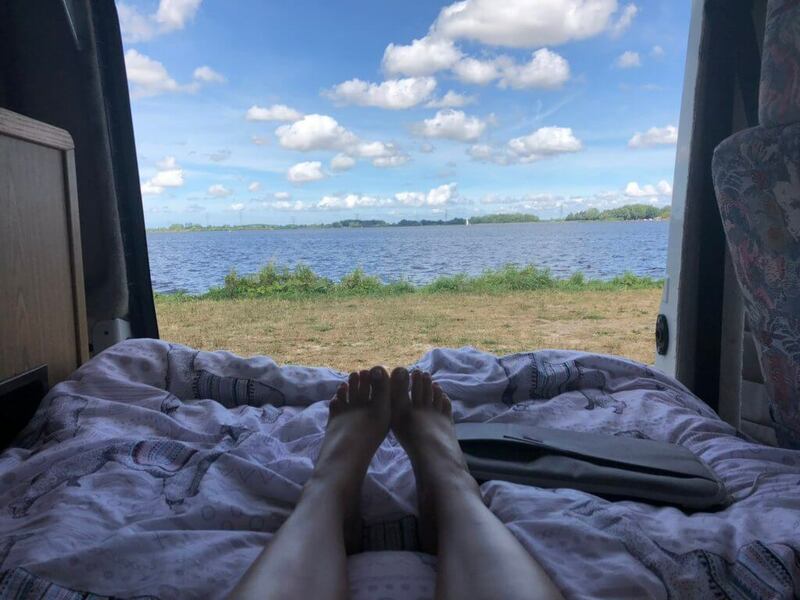 Yes, I may have convinced him that campervaning around Europe was a brilliant idea. He was far from excited as he was dragged from a well-paying job in England, but he came along and it wouldn’t be the same if I couldn’t share this with him. This has really been an incredibly amazing, and sometimes terrifying journey. I want to see everything, and do almost everything. Okay, not quite, but not far from. So far, I’ve traveled a big part of Europe, however, I still have Eastern Europe left – which I hope to see this year. I’m VERY excited about it! I’ve also traveled most of Southeast Asia and I’ve been to Morocco. I’ve lived in five countries: Sweden, Spain, England, Thailand and Japan. I most definitely have a bucket list and I would love to see every country in the world! The places I’m the most excited about for 2019 are: Turkey, Greece and Croatia as well as Ireland. The countries I have been lucky enough to cross off my list for the year have been: Monaco, Andorra and Portugal. We’re currently in Italy, one of my favourite European countries. Let’s just say I’m indulging in carbs in the shape of pizza, bread and pasta! When I started TLC, I planned to work part-time. As things got busier, I kept accepting work, thinking that it would eventually slow down again. It never did. I am currently working 40-50 hour weeks, way too many hours. But, I am excited about growing the business. I love what I do and it’s great to see such an amazing response and growth rate. But, I do wish that I could leave work at work and go out and enjoy myself. Being an entrepreneur or running your own business means that you’re to some extent always available and working. As it is right now, I spend my weekends sightseeing and when I’m lucky I can get in a few hours during the work week. This is definitely something that needs to be balanced out a little more since it’s too fast-paced to be sustainable for very long. My ideal work-week would involve 20 hours of work and an independent team that wouldn’t need to rely on me so much. Having said that: we are currently looking for a new team member! No plans made for us are set in stone, but I do like to plan 3-5 years in advance. These are not very detailed plans, but a direction that I would like to move towards. For example, we would like to finish up campervaning at the end of this year and return to our home in Japan for half of next year. We would also like to adopt kids in the next few years. We know which countries we want to visit on this journey and we always have a new adventure in mind. But there is no day-to-day itinerary that outlines what we do or when we do it. It’s a combination of work load, weather, energy and of course, what we want. What we see in our future five years from now, may change by the time we get there. I think it’s important to know where you’re going, but it’s just as important to re-evaluate and make sure that the goals you are striving towards are still in line with what you want and what makes you happy. We prefer staying in our own place. 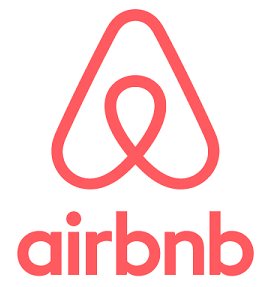 We have camped, lived with friends, rented rooms on airbnb, stayed in dorms and hotels, and the camper van. But, there is no place like home. Home away from home would be our own personal space, ideally a house, cottage, cabin or bungalow to ourselves. We like the privacy and peace. I grew up in an apartment and have since then never wanted to live in one again. I want to be out in the countryside, surrounded by nature, away from the big city hustle. I have tunnel vision, it means that I’m very good at only focusing on what I’m doing. It doesn’t matter where I am when I work, as long as I have a solid internet connection and enough battery on my laptop. I prefer silence around me when I work, but I don’t need a desk, co-working space or an office. I’ve worked in moving cars, in pubs and cafées and outside. My favourite workplace remains my bed. My boyfriend hates it that I can stay in my pyjamas the whole day without even noticing I haven’t changed! I never liked to get up early, put on cold and uncomfortable clothes and travel to a workplace before it even got light outside. Maybe that’s why I love working from bed? I don’t think I could ever live in just one place, travel is in my blood. But, I do see myself settling down. I would be very content spending half the year in our home in Japan and the other half traveling, maybe on a sailboat. Or maybe we would get another countryside home somewhere. I love the idea of a smallholding and I grew up with pets. We would love to live more self-sufficient and environmentally friendly, but I’m not ready to settle down just yet. Maybe one day. A Mediterranean home would be very tempting, but so would a stilt house somewhere on the water. 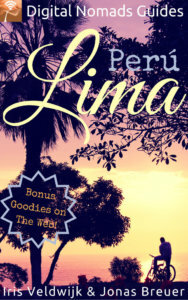 Have you been to Peru or do you plan to visit the country in the near future? I haven’t been to Peru yet, but it is very high up on my list of countries to visit. South America and Africa are two big journeys we are already planning for the future. We would love to get a car and travel slowly through Peru and the neighbouring countries. To me, it is the nature and wildlife that is the most appealing. When we do save up enough money to make this dream a reality, I am planning on spending an extended period of time on volunteering projects, brushing up on my Spanish and meeting the local people. A long jungle trek for weeks would be a dream come true. While other children watched Disney movies, I grew up watching Sylvester Stallone climbing mountains (Cliffhanger) and Anaconda. With my degree in tourism, I would love for a reason to join a long excursion to the jungle to study wildlife and take photos. Thank you very much for sharing so much of yourself and your journey, Vicky. Did you like the post? Then why not share it on Pinterest?